Please contact us with any questions or comments, or to schedule on appointment. Please call: (310) 282-9999 or fill out this simple form. 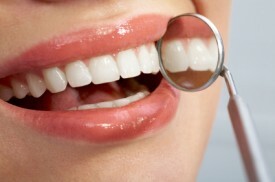 We offer the most advanced dental care and modern treatments at Beverly Hills Prestige Dental Group. With comprehensive services in cosmetic and restorative general dentistry, Dr. Javdan, our top dentist in Beverly Hills, is fully prepared to restore health and functionality to your teeth. We will help you achieve a perfect smile you can be proud of. If you are searching for a good Los Angeles dentist or a Beverly Hills dentist, schedule your next appointment Beverly Hills Prestige Dental Group and let us enhance the health and appearance of your smile. © Copyright 2019 David Javdan. All Rights Reserved.